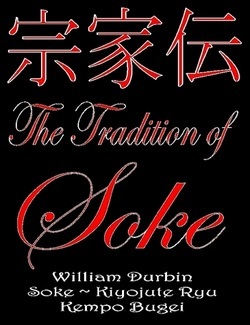 This book describes in detail how the tradition of the Ryu was created, how the title Soke came to be used for the headmaster of martial arts systems, and what the real requirements really are of becoming a Soke and founding a Ryu. This is a book that every Juko-Kai Dan degree should have. It is an excellent publication, possibly the first book of its kind. The Dai-Soke has a copy and highly endorses this book. All dan degrees should be aware of the information that this book contains.